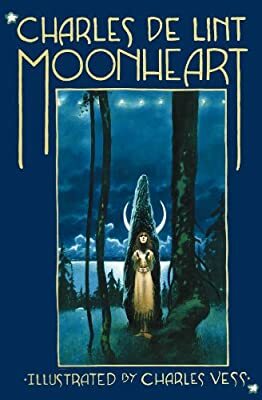 Description: Moonheart is the award-winning novel that propelled Charles de Lint to his status as a master of urban fantasy. Unique to this Triskell Press edition is a new afterword by de Lint reminiscing on the impact of his seminal work. We are grateful to Charles Vess for the use of his cover and interior illustrations. In a tale sweeping from ancient Wales to the streets of modern Ottawa, de Lint's unforgettable characters—Sara Kendell; her beloved uncle Jamie; Blue the biker; Kieran the folk musician; RCMP Inspector Tucker; Pukwudji the trickster; the inscrutable Tom Hengwr; and the magic of Tamson House itself—will stay with you forever. Readers placed Moonheart (1984) on Modern Library's 100 Best Novels of the 20th Century list. It also won the William Crawford Award from the International Association for the Fantastic in the Arts.